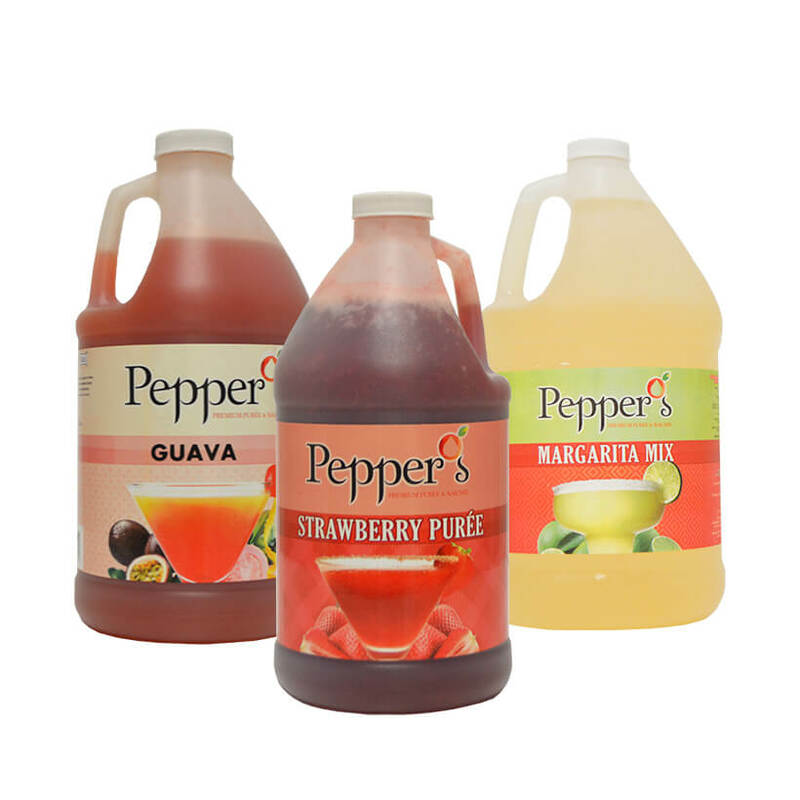 Our Pepper’s Guava captures the fruit’s unique flavor, taking you on a tropical excursion. It is bursting with fruity and tart flavors, transforming your drink into just the right refresher. 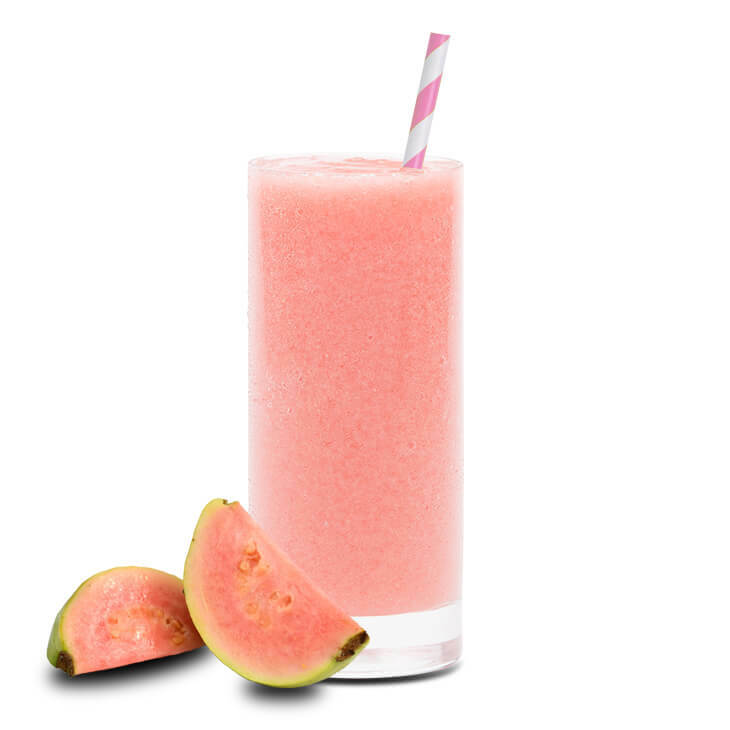 Try our Pepper’s Guava as a smoothie or mix it up and make a delicious cocktail! High Fructose Corn Syrup, Guava Puree, Sugar, Filtered Water, Citric Acid, Propylene Glycol, Xanthan Gum, Ascorbic Acid, Potassium Sorbate, Sodium Benzoate, Sodium Metabisulfite, Sodium Propionate, FD&C Red #40. Our Pepper’s Mango is vivacious in color and rich with flavor. It offers an exotic blend of fruity, fresh, and sweet all within one sip. 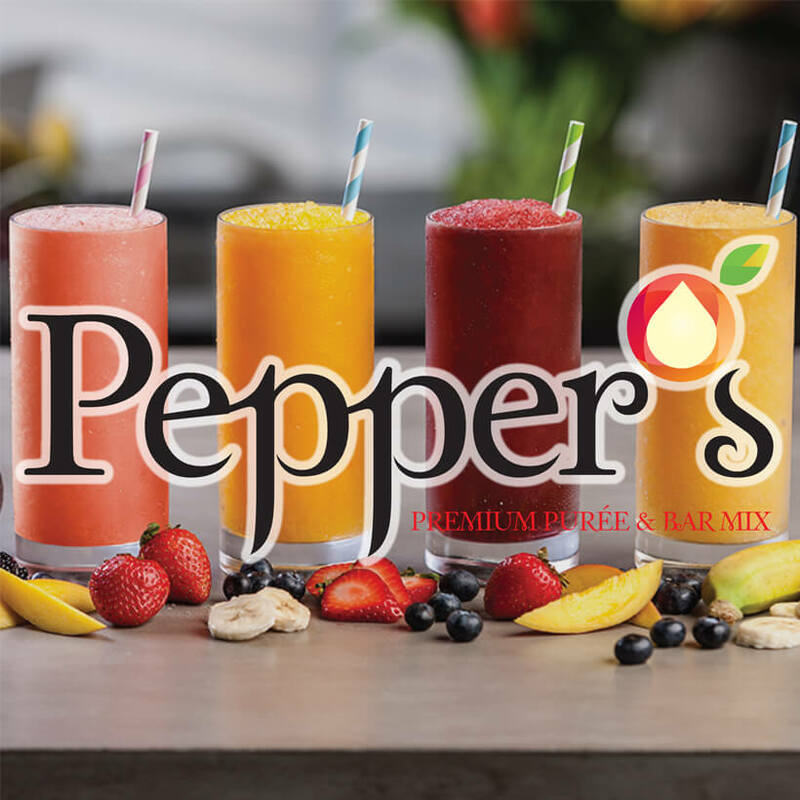 Try our Pepper’s Passion Fruit as a smoothie or mix it up and make a delicious cocktail! 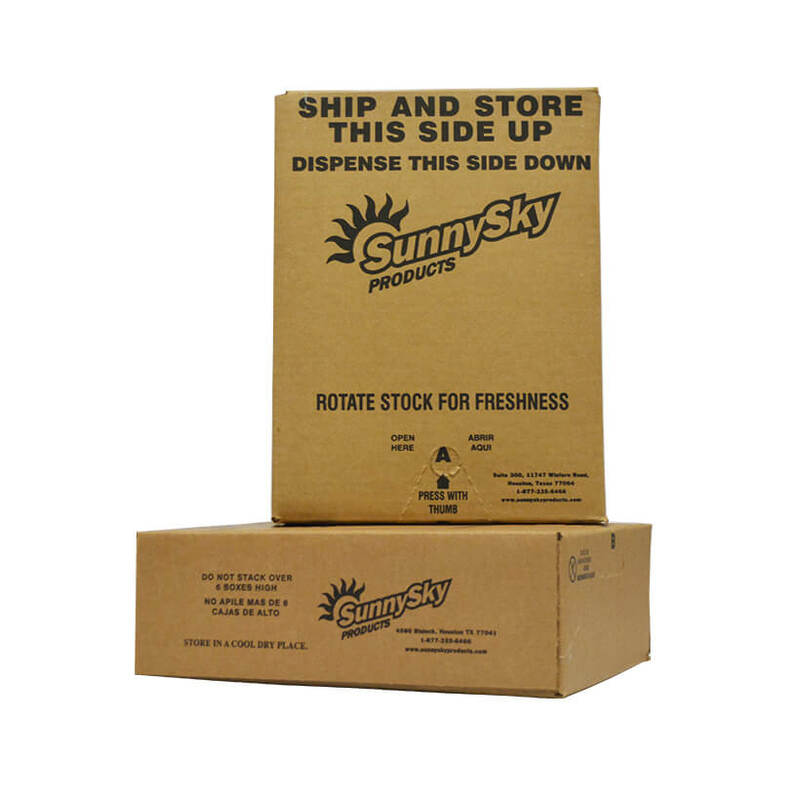 High Fructose Corn Syrup, Filtered Water, Mango Puree, Sugar, Cloud [Filtered Water, Modified Food Starch, Titanium Dioxide, Propylene Glycol, Antifoam (dimethylsiloxane), Xanthan Gum, Sodium Benzoate, Citric Acid], Citric Acid, Propylene Glycol, Ascorbic Acid, Xanthan Gum, Potassium Sorbate, Sodium Benzoate, Artificial Flavor, Sodium Propionate, FD&C Yellow #6, FD&C Yellow #5. Our Pepper's Margarita delivers a citrus sweet flavor with a hint of tartness. Frozen or on the rocks, experience the crispy freshness it has to offer. Try our Pepper’s Margarita and mix it up to make a delicious cocktail! Sugar, Filtered Water, Citric Acid, Lime Juice Concentrate, Propylene Glycol, Natural and Artificial flavors, Xanthan Gum, Potassium Sorbate, Sodium Benzoate, Sodium Metabisulfite. Pepper’s Passionfruit captures the essence of the tropics within a single sip. Its fragrance is rich with floral notes and its taste is an exotic blend of tangy and sweet. 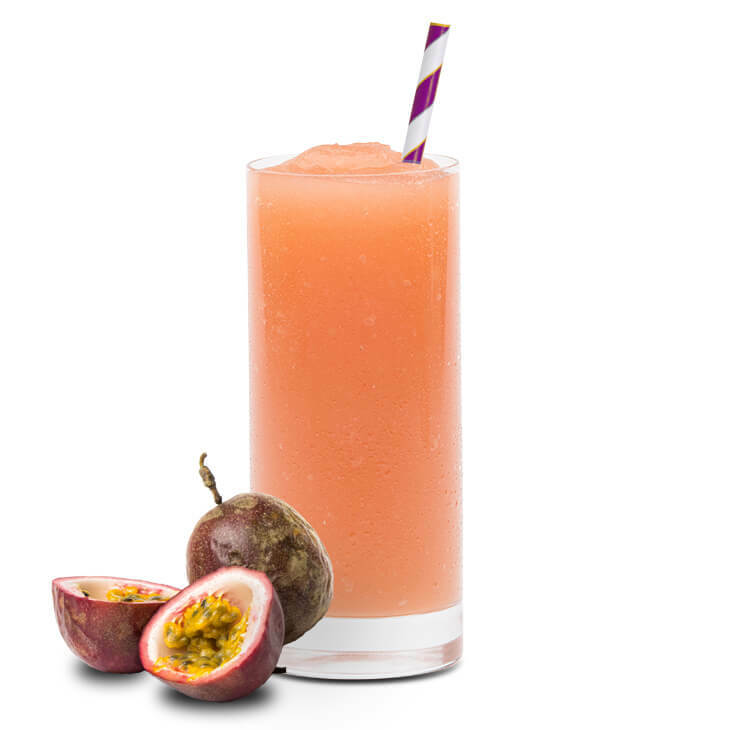 Try our Pepper’s Passionfruit as a smoothie or mix it up and make a delicious cocktail! High Fructose Corn Syrup, Filtered Water, Passion Fruit Concentrate Juice, Sugar, Guava Puree, Cloud [Filtered Water, Modified Food Starch, Titanium Dioxide, Propylene Glycol, Antifoam (dimethylsiloxane), Xanthan Gum, Sodium Benzoate, Citric Acid], Malic acid, Citric Acid, Natural and Artificial Flavors, Propylene Glycol, Xanthan Gum, Ascorbic Acid, Potassium Sorbate, Sodium Benzoate, Sodium Metabisulfite, Sodium Propionate, FD&C Yellow #5, FD&C Yellow #6. 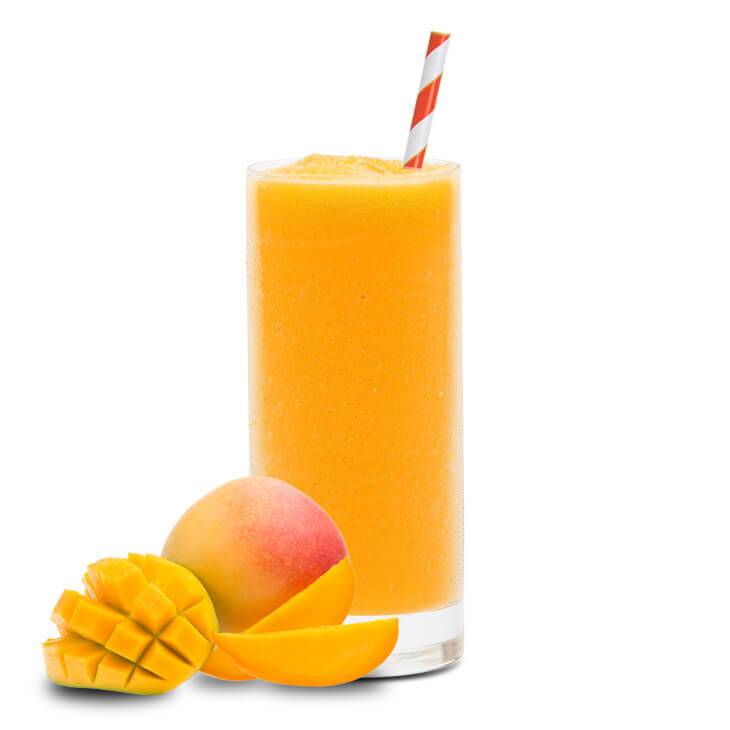 Our Pepper’s Peach emulates the flavor of a freshly grown peach and has become fan favorite. It delivers a smooth and tangy taste with hints of earthy sweetness. 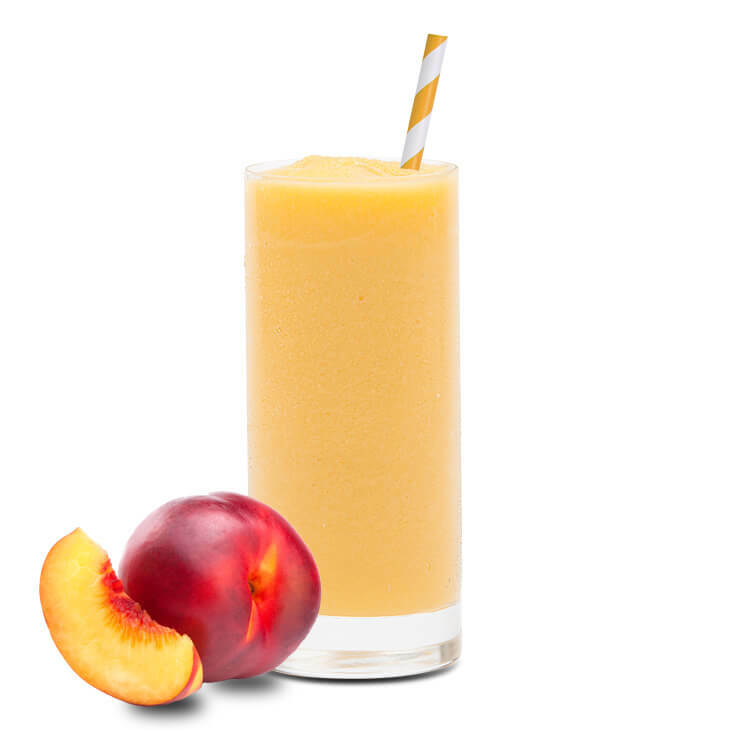 Try our Pepper’s Peach as a smoothie or mix it up and make a delicious cocktail! High Fructose Corn Syrup, Sugar, Filtered Water, Peach Puree, Citric Acid, Natural and Artificial Flavors, Propylene Glycol, Xanthan Gum, Sodium Benzoate, Potassium Sorbate, FD&C Yellow #5, FD&C Yellow #6, FD&C Red #40. Our Pepper's Pina Colada will transport you to a warm and sunny beach. 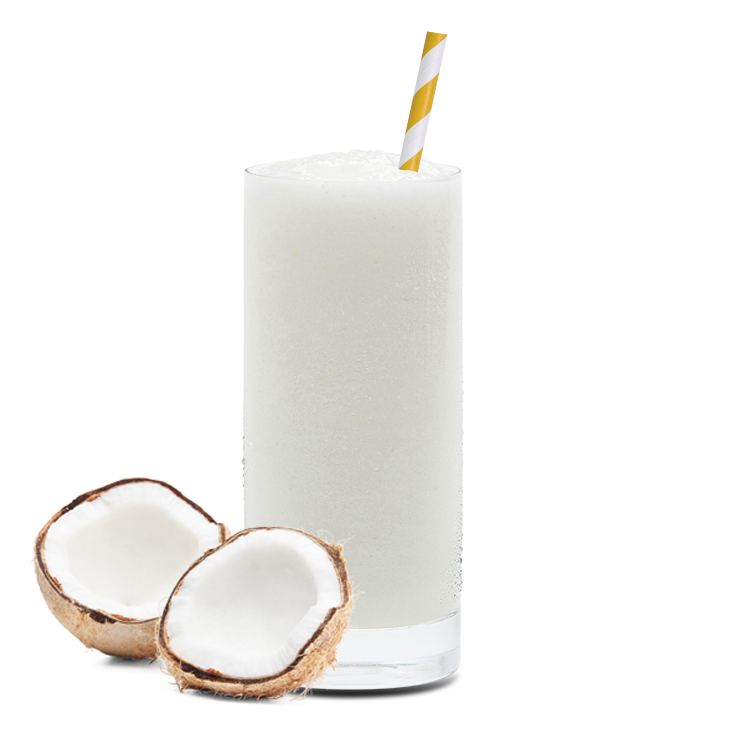 The flavor combination of pineapple and coconut makes for the ultimate refreshment. It is sweet and juicy yet a bit tart all at the same time. 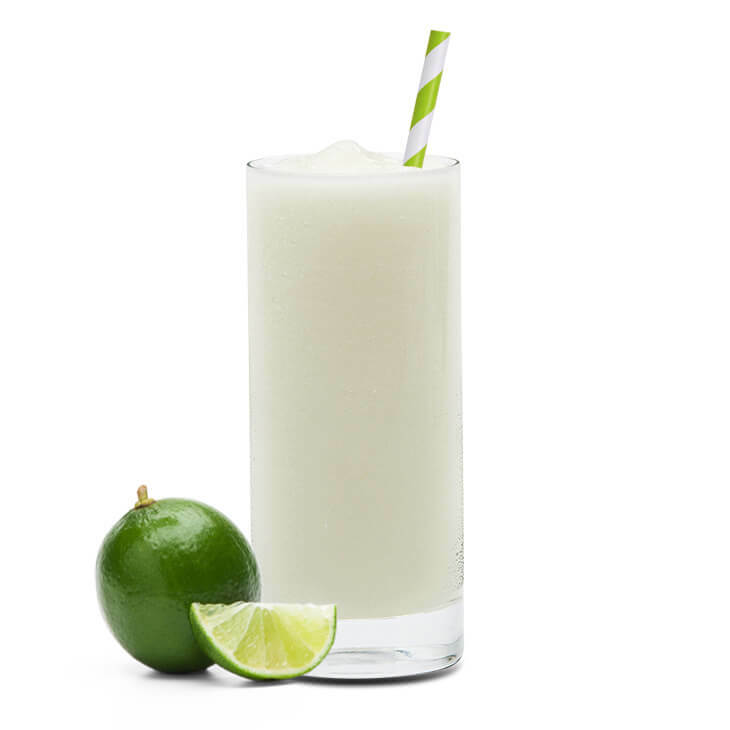 Try our Pepper’s Pina Colada and mix it up to make a delicious cocktail! High Fructose Corn Syrup, Pineapple Juice Concentrated, Sugar, Filtered Water, Cloud [Filtered Water, Modified Food Starch, Titanium Dioxide, Propylene Glycol, Antifoam (dimethylsiloxane), Xanthan Gum, Sodium Benzoate, Citric Acid], Citric Acid, Natural and Artificial Flavors, Xanthan Gum, Ascorbic Acid, Potassium Sorbate, Sodium Benzoate, Sodium Propionate, FD&C Yellow #5, FD&C Yellow #6. Our Pepper’s Strawberry Banana captures the unique flavor blend of two of the most popular fruits. Relish in this delicious combination that delivers a fruity and creamy beverage. 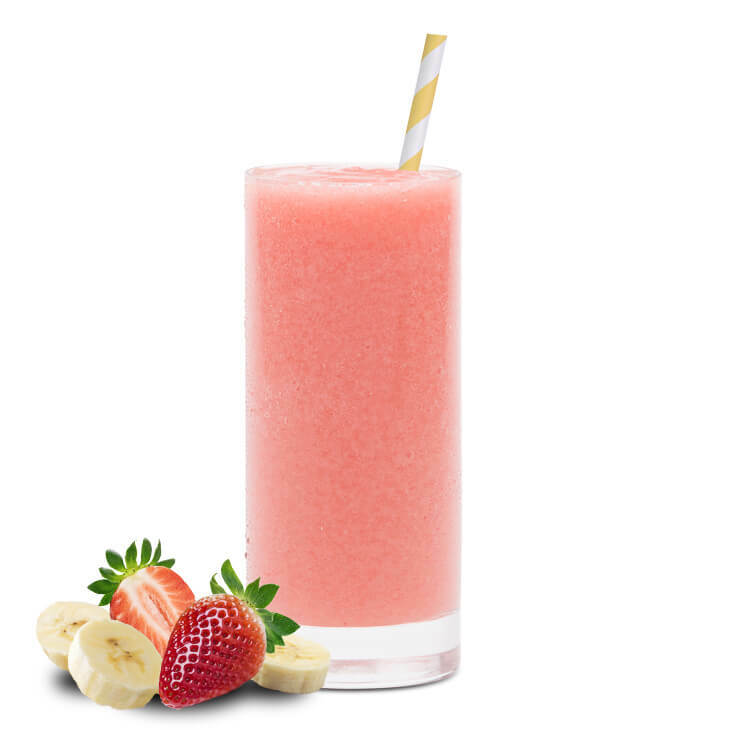 Try our Pepper’s Strawberry Banana and mix it up to make a classic smoothie! High Fructose Corn Syrup, Sugar, Strawberry Puree, Filtered Water, Malic Acid, Propylene Glycol, Natural Flavors, Xanthan Gum, Ascorbic Acid, Sodium Benzoate, Potassium Sorbate, Sodium Propionate, FD&C Red #40. Our Pepper’s Strawberry has become one of our most popular flavors. Both juicy and sweet, it’s almost as if you were biting into a freshly harvested strawberry. 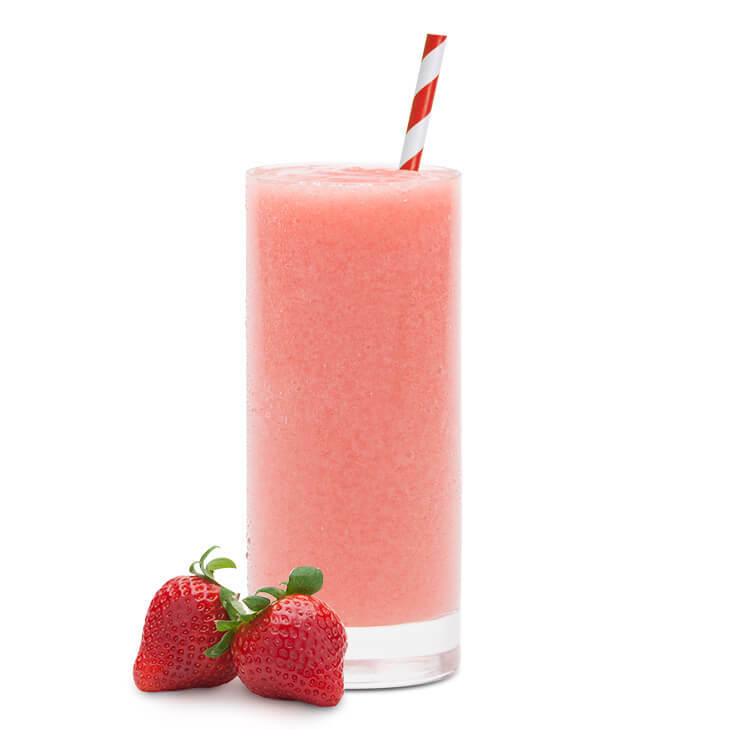 Try our Pepper’s Strawberry as a smoothie or mix it up and make a delicious cocktail! High Fructose Corn Syrup, Sugar, Strawberry Puree, Filtered Water, Malic Acid, Propylene Glycol, Natural and Artificial Flavors, Xanthan Gum, Ascorbic Acid, Sodium Benzoate, Potassium Sorbate, Sodium Propionate, FD&C Red #40.